This year, more than 23,000 baking professionals gathered at the Las Vegas Convention Center for the 2016 Baking Expo (IBIE), from October 8th to the 11th. 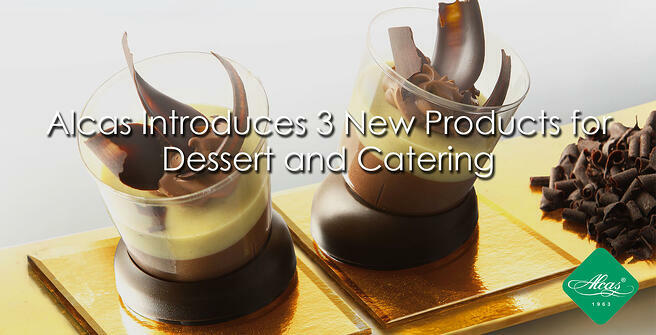 It was a weekend filled with new and innovative products in the baking and dessert industry. Alcas was present, showcasing our top collections for pastry shops, gelato and ice cream shops, coffee shops, and catering. We also launched 2 new product lines, and introduced a new color for our UAU collection. Our line of cups, UAU (/wau/) Alcas, is characterized by an innovative design, completely outside the traditional schemes. What makes them unique is an unusual bottom that changes its function depending on how you want to present it. It's a great way to show a different point of view of the product. 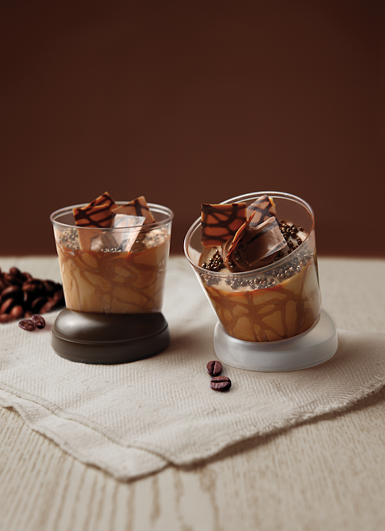 This year, during the Baking Expo (IBIE), we introduced a new color to our UAU (/wau/) collection: coffee! 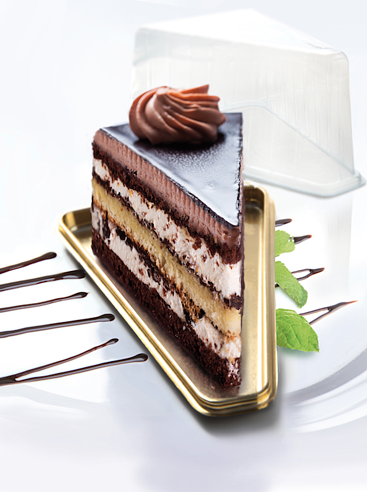 Medoro cake slice box is Alcas' single serving triangular container created to facilitate and enhance the packaging of individual servings of cake, ideal for enhancing the dessert. 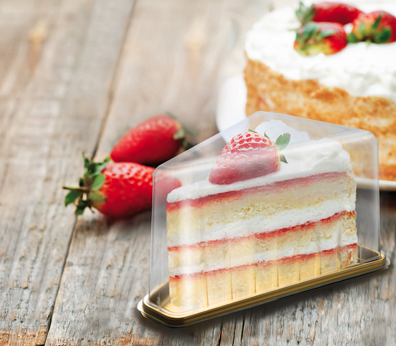 These beautiful, high-quality containers are perfect for pastry shops who sell cakes and need a well-designed container to give to their clients. 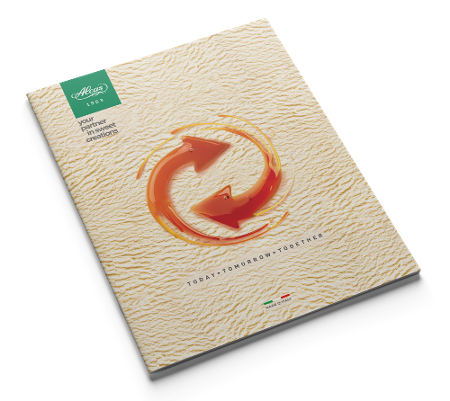 This is an esential packaging solution, but at the same time elegant, functional and durable. 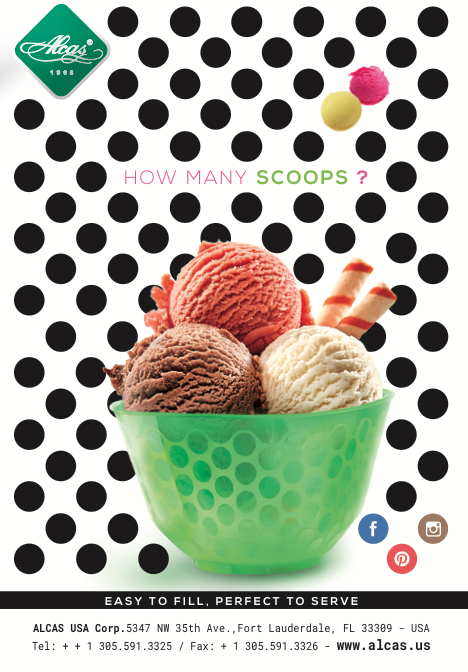 Scoops is the new cup of Alcas designed in a special way for all the gelato makers who serve their own ice cream in scoops. Being made of a plastic material of the latest genaration, Scoops is much softer but also more resistant than paper cups, with obvious advantages both for the packaging takeaway than for the experience of use by the customer. 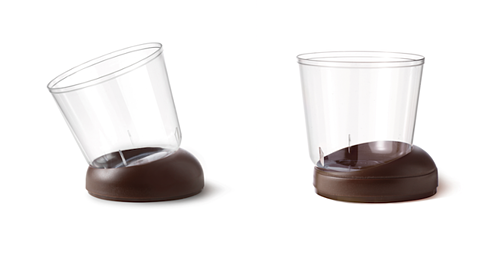 Scoop is available in 3 transparent and 8 different color sizes. GoGo is perfect for your salty and and sweet creations. Its minimal and innovative design with an original “wave” allows you to hold it in an easy and functional way which helps you get a firm grip with only two fingers. GoGo is available in black and in 3 different shapes: round, square and rectangular. 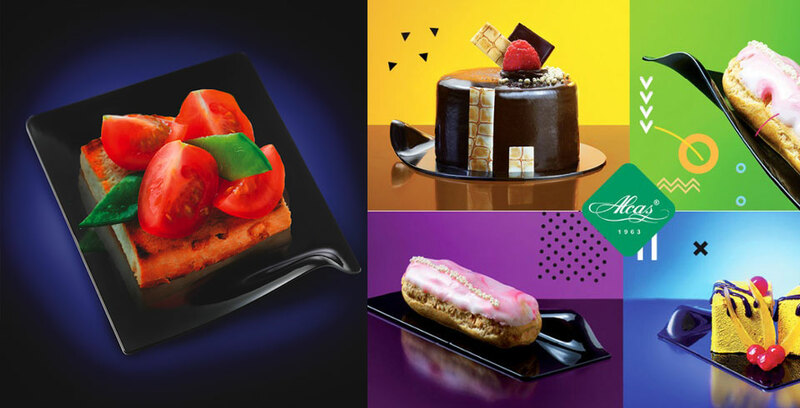 Gogo was created to carry and enhance individual portions both sweet and savoury.